Nate did a great job with his message yesterday. God has gifted him as a teacher and communicator of His word, and it’s neat for me to see him develop and use his gifts. Now, I do want to clear one thing up. I didn’t tell Nate not to use Georgia Tech as an illustration. I simply encouraged him not to brag about Georgia Tech (This is Missiology 101.). BTW, if your team is really good, you can let their play on the field do the talking for you. Nate closed out his message with a challenging verse from the book of James. Now, I think these are two great applications, and I hope and pray that many families at Graystone adopt kids. In fact, one day, I would love to see hundreds of adopted kids at Graystone. But I do NOT think God is calling EVERY family to adopt a child. As I was thinking and praying through the challenge “to look after orphans and widows”, I thought it would be helpful for us to discuss other practical ways we can apply this Biblical command. Although, I do believe adoption is the most effective solution. And it will lead to the greatest impact and life change. 1. Adopt a widow. Now, at Graystone, we have several widows, and it is our job “to look after them”. Most of them have sons or daughters in their lives who are “looking after them” (Although, some of the widows are still “looking after” of their sons and daughters. ), but I’m sure they wouldn’t mind being “adopted” into a family at Graystone. 2. Minister at a nursing home. There are hundreds of widows and widowers living in local nursing homes that would love some love and attention. In fact, maybe we could “adopt a nursing home” like we have adopted Gwinnett Estates with the Hope Center. 3. Keep foster kids. Maybe God is not leading you to make a long term commitment to adopt a child, but you could keep foster kids. This is a shorter term commitment and the state actually gives a stipend to help offset the costs. And it could lead to adoption. 4. Financially support others who are called to adopt. God may not be calling you to adopt, but you can support and help others who are trying to adopt. It will cost the McKnights approximately $26,000 to adopt Anna from China. If you are looking to give financially, they would be a good place to start. You can click here to go to the McKnight’s blog and donate online. We are also hoping to get an Adoption Fund started at Graystone. And one day, we would like to give to any Graystone family who needs financial assistance in adopting a child. 5. Sponsor a child through Compassion International. 6. 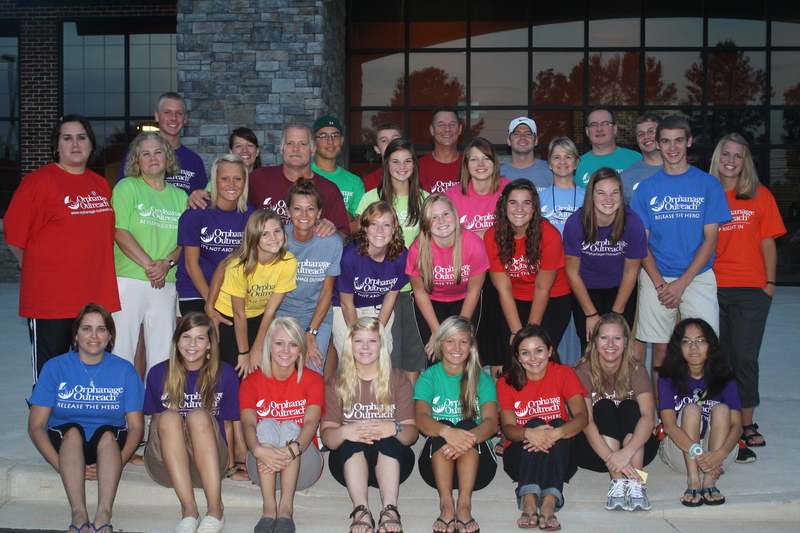 Go on a mission trip and serve orphaned kids. For the last 7 years, Graystone has ministered through Orphanage Outreach which is now Outreach 360 in the DR and Nicaragua. 7. Start an orphanage. Why simply adopt one child? Go in with a few friends and adopt dozens of kids. Just a radical thought. Any other practical ideas for applying this Biblical mandate?